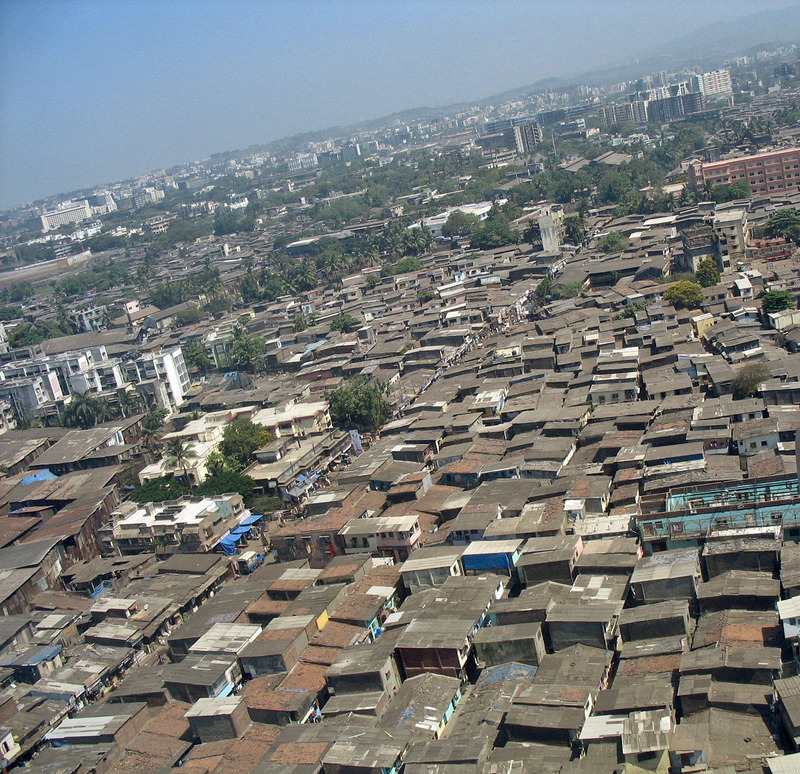 Slums in Mumbai, India. 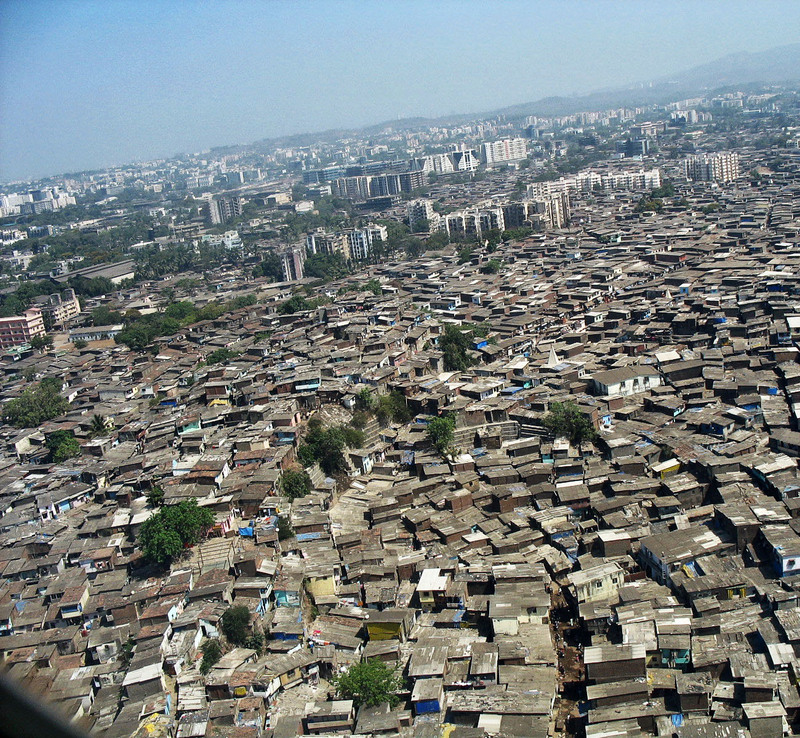 Most urban cities in India have slums as housing is not affordable. 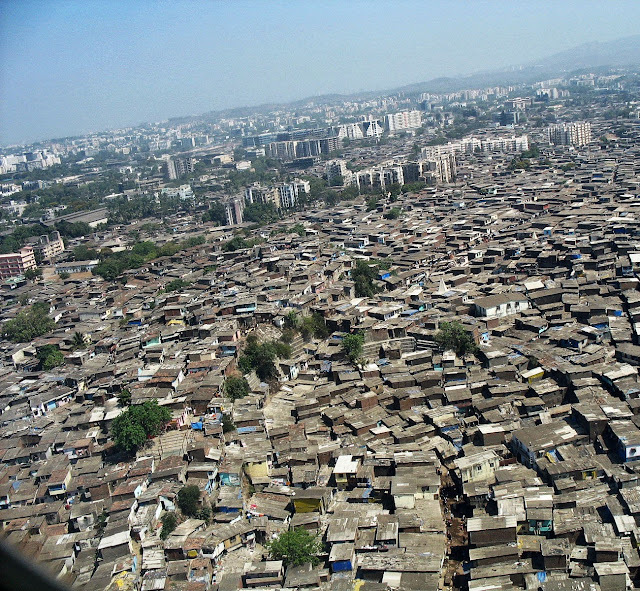 Monthly paychecks are too low for the poor to afford housing and real estate in cities like Mumbai is very costly, competing with the major cities of the world. There is talk of slum re-development but in many cases the builders and politicians take the pickings and residential skyscrapers become glorified slums. 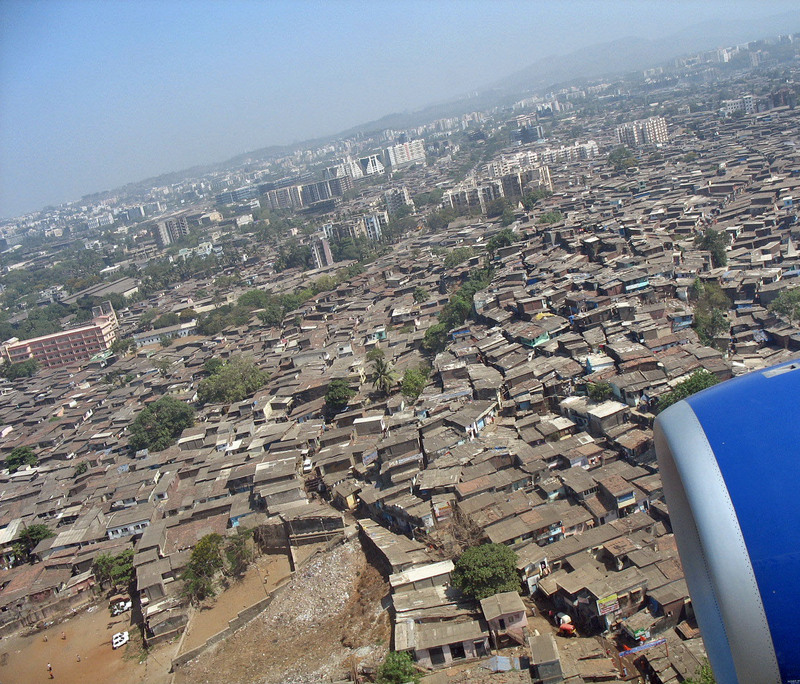 The first three pictures are of Dharavi, India's most famous slum, said to be the largest in Asia. The photos were taken from a plane window. This last photograph is a view of slum houses from a window of a residential building in East Andheri, Mumbai. Photos depicting poverty in India: Homeless in India - Photographs or Photos of thatched huts from the Chennai area. Photos of different types of houses in India: Huts in an Indian Village for cobbled huts in an Indian village or Photographs of houses and huts from Dakshinachitra in South India where you will find a model photo of a thatched hut typical of India. Eradicating powerty is not easy as india enjoys its so-called democracy and forgetting value of freedom which gifted by the ancestors. Eradicating corruption is the first step towards curbing powerty.